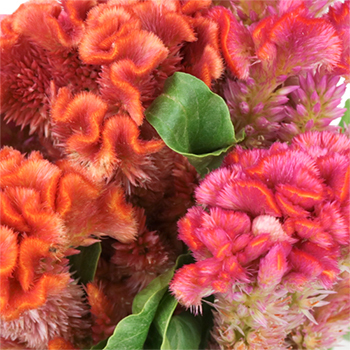 Reminiscent of a sunset, Hues of Coral Celosia Flowers are the perfect filler to set the mood. The coxcomb celosia features unique blooms that swirl into scalloped shapes. Coral Celosia features magenta to tangerine tones for a gorgeous sight. 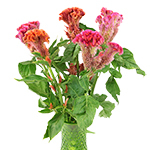 Pair the celosia with other FiftyFlowers blooms like coral peonies, hypericum berries, and green spider flowers for a spunky bridal arrangement or table centerpiece. 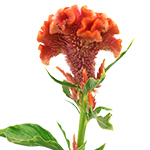 Celosia Flowers are shipped in 5 stem bunches. 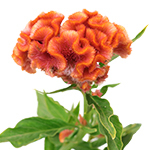 Celosia is commonly known as Brain Celosia and Coxcomb.